The nation’s capital has always seemed more of a showcase than a city, a visitor’s paradise where politics meets art, history, and scenic splendour. 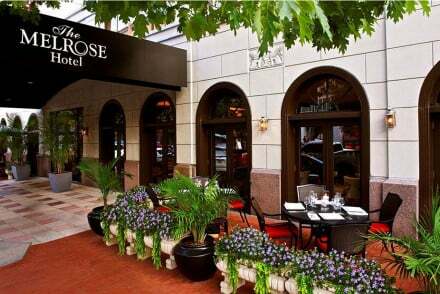 The best places to stay in Washington DC are the ones with the glamour and class that you'd expect from the capital of the world’s number one nation, or which are “boutique” enough to attract the international movers and shakers flying in and out of the capital city. A hundred trips to Washington would not exhaust the rich array of attractions – there are around 200 museums for a start – so it’s a question of pacing yourself, especially in the summer months when the soaring temperature makes walking the wide and long boulevards impractical. With its grandiose layout and the overwhelming (unequalled in the US) number of its iconic spots – the White House, the Lincoln Memorial, the cherry trees around the lakeside Jefferson Memorial, the incredible grandeur of the Capitol building - Washington is a city to make you gasp at every turn. Capitol Hill makes a great landmark at the top end of the National Mall, which is in the heart of Washington’s downtown. 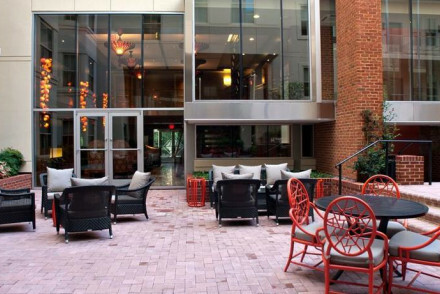 Staying here, or in Penn Quarter you’re close to a range of restaurants, and to Chinatown, and you’re well connected to the rest of the city. Midtown is the next loop out. Then there’s Dupont Circle, to the north of Capitol Hill, is where you’ll find many of the embassies, plus upmarket boutiques, bars and brasseries. This is also where you’ll find the Phillips Collection Galleries. To the west of the National Mall is Foggy Bottom and then Georgetown. This is where you’ll find the colonial, redbrick mansions and great antique stores and designer boutiques Washington is known for. It’s also got some great independent cafes, bars and coffee houses. To the south is Alexandria, on the Potomac River. This is basically Washington’s Old Town, in European terms, and has some of the grandest and oldest colonial architect and many of the city’s finest restaurants, including Gadsby’s where Thomas Jefferson used to take his guests. Arlington is on the other side of the Potomac River to Washington, but is a good option if you’re looking for a great value or family-friendly option. The Pentagon and the Arlington National Cemetery are in Arlington, so the area caters for a lot of military families. With so many museums, it's hard to pick which to recommend. We'd suggest in particular the National Gallery of Art, the Smithsonian, the United States Holocaust Memorial Museum, The National Air and Space Museum, The National Archives and Newseum. If you're looking to soak in the city's history then head to the Washington Monument, Lincoln Memorial, Jefferson Memorial, National World War II Memorial or the Martin Luther King, Jr. Memorial. Those into politics should definitely visit the iconic Capitol Hill. If you fancy taking a break from sightseeing then head to the Tidal Basin, a beautiful area which in springtime is full of white-pink cherry blossoms. Here is our choice of the best places to stay in Washington DC (and the neighbourhoods in which you'll find them) when you finally feel you've had your fill of business, shopping or sightseeing. And for those who don't want to be right in the centre of things, we've got a couple of good suggestions in Alexandria too. The Hay-Adams is in a prime location - with views of the White House. It has 145 large and luxurious rooms and an upscale restaurant and cocktail bar. The Jefferson Hotel is a Renaissance revival property with a grand marble staircase complete with a statue of the hotel’s namesake. There are 96 rooms with high ceilings, large windows and traditional style. There’s also an excellent restaurant and a spa. The Donovan is a trendy, modern, good value hotel with stunning views of central Washington. There’s a rooftop pool and complimentary bikes. The Morrison Clark Inn is just a short walk from the Convention Centre. It’s got the tag “historic” attached to it, which doesn’t necessarily imply great age, but rather that extra bit of character which could tip the balance for travellers who are sick of the same old, same old. The Dupont Circle is a superbly stylish modern hotel, with exceptionally good facilities for business travellers. Part of the Anglo-Irish Doyle Group, it’s got a brisk kind of chic that will make your stay feel more like pleasure than work. The Swann House B&B has been sympathetically converted from an 1880s mansion in the Dupont Circle district. An oasis of homely touches and old world charm, it seems a bit out of place in a bustling capital like Washington DC, and all the better for that. 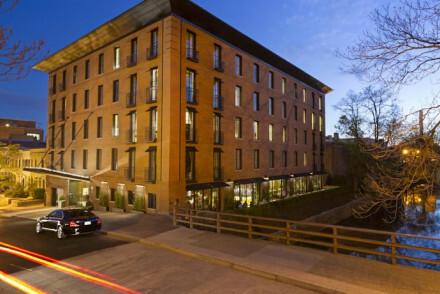 The Capella is a canal-side boutique hotel in the heart of trendy Georgetown, the city’s cultural heart. The excellent location added to by exceptional service, and the outdoor pool and rooftop bar are places to see and be seen. The Melrose Georgetown is a place of real character and style – not forgetting flair - and has everything you need to make a perfect DC weekend. For amazingly good value, given the ambiance and the grandeur, we highly recommend the Hotel Lombardy in the capital’s business-buzzing Foggy Bottom district. It’s not the very cheapest, but the prices are remarkably decent given the stately aura that this place conveys. The Graham is named after the great Scots-American telephone pioneer Alexander Graham Bell, who happened to be a Georgetown resident. Nestling on the banks of the mighty Potomac, this is a chic but not excessive bolthole, with easy access to everywhere you want to be. 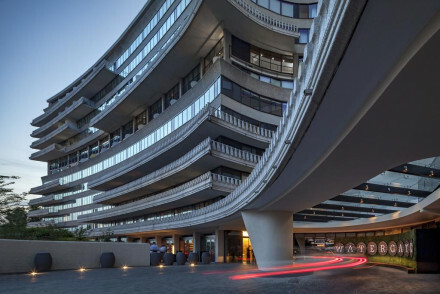 Or consider The Watergate Hotel? A smart choice for some of us, featuring slick rooms with contemporary furnishings and large windows. Tuck into splendid French-American cuisine and enjoy a tipple from the rooftop bar. Whilst located outside the city centre in Alexandria, the Lorien Hotel & Spa boasts business facilities and comfortable, spacious rooms. With a buzzy bar and a spa, it's a decent all round spot for those in DC on work. Morrison House provides smart, tastefully decorated rooms just a short distance from the downtown area. Offers free airport shuttle runs as well as a 24-hour concierge and extensive business facilities. Need to impress your US Government or business contacts? Then tell them you are staying at The Capella, the canal-side boutique hotel in the heart of trendy Georgetown, the city’s cultural heart. Excellent location added to exceptional service from your own “personal assistants” who can handle the details so you can concentrate on that big deal - or that big shopping trip. The outdoor pool and rooftop bar are places to see and be seen. It was the statesman Thomas Jefferson who wrote that “all men are created equal”. 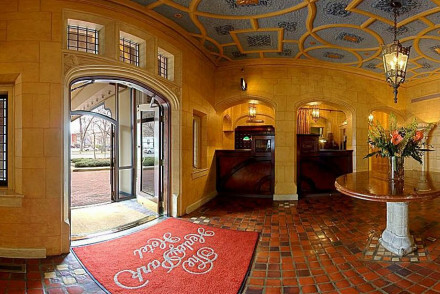 All hotels on the other hand are not, as this landmark of Washington boutique luxury The Jefferson Hotel proves. 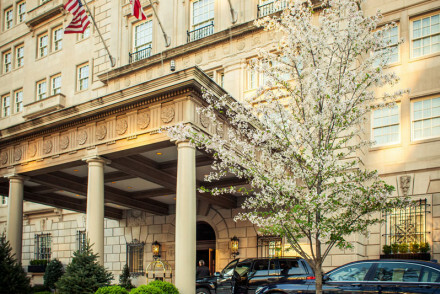 A refurbishment of a stately 1920s classic, the Jefferson is a stone’s throw from the White House and if you aren’t staying there, then this is the next best thing. America may lack antiquated buildings but it has some splendid mock-antique ones - a fine example being The Henley Park, a Tudor-themed fantasy close to the Washington Convention Centre. 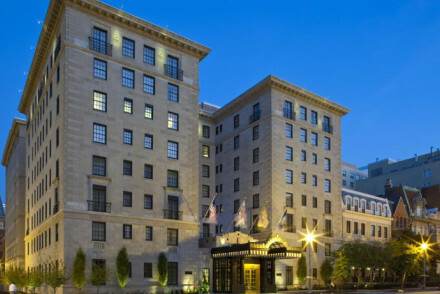 Quite recently converted, this is a grand hotel of character that is handy for just about everywhere, including Ronald Reagan Airport, the Capitol and Chinatown. 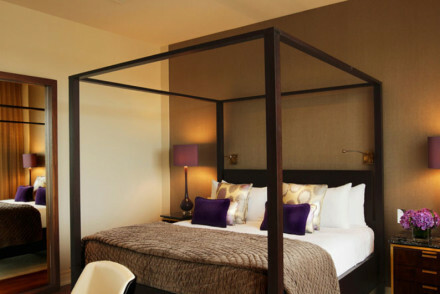 The Watergate Hotel is a smart choice featuring slick rooms with contemporary furnishings and large windows. Tuck into splendid French-American cuisine and enjoy a tipple from the rooftop bar. 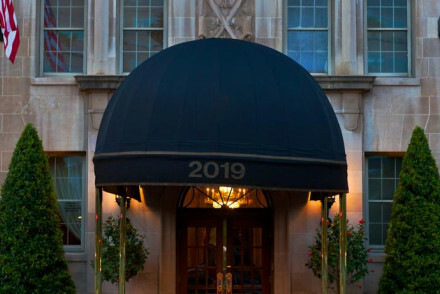 The Donovan Hotel offers unbeatable value in the heart of downtown DC. This Kimpton hotel keeps things simple, but ticks all the right boxes in terms of service and amenities. You’ve got to check out The Graham, named after the great Scots-American telephone pioneer Alexander Graham Bell, who happened to be a Georgetown resident. Nestling on the banks of the mighty Potomac, this is a chic but not excessive bolthole, with easy access to everywhere you want to be. Read our review of The Melrose Georgetown, a place of real character and style – not forgetting flair - that has everything you need to make a perfect DC weekend. Looking for something a bit different? 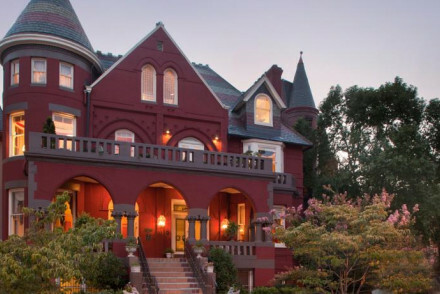 Try the Swann House B&B, an 1880s mansion in the Dupont Circle district. An oasis of homely touches and old world charm, it seems a bit out of place in a bustling capital like Washington DC, and all the better for that. 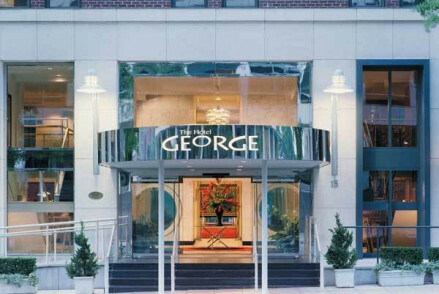 Or how about The George? This contemporary offering is ideally located for both sightseeing and nightlife, and it's pretty good value too. Got something on at the Washington Convention Centre? Then check into The Morrison Clark Inn, located just a short walk away. It’s got the tag “historic” attached to it, which doesn’t necessarily imply great age, but rather that extra bit of character which could tip the balance for travellers who are sick of the same old, same old. If you think you'd prefer a self-catering option then browse through the wide variety available online with our partner Booking.com. Washington DC is obviously warmest in the summer with the average daily temperature climbing to 27°C in July. This however is peak tourist season, so for a quieter and potentially cheaper alternative consider coming in May or September. Don't worry though, the weather's still pleasant enough to spend your days out sightseeing! International visitors can fly into Washington Dulles International Airport, whilst if you're coming from elsewhere in North America then there's also Reagan National Airport. Both of these airports are well served by public transport links to the city's downtown area. Virgin Atlantic, United Airlines and British Airways fly from Heathrow to Dulles - with the journey time approximately 8hrs30mins. Start browsing our pick of the best places to stay in Washington DC. Widen the net to search through our recommendations in Baltimore or Philadelphia. Or feel free to contact one of our well-informed gurus for guidance. A trendy, modern hotel in a superb location. Stunning views of central Washington from the plush roof-top pool. Flat screen TVs, plump beds, modern spiral showers. Complimentary bikes for exploring nearby attractions. Excellent for a stylish city break. Private residence turned European-style in the hub of Washington DC. Modern rooms with Italian linens, classic bathrooms and all the mod-cons. French cuisine at Cafe Lombardy, while Venetian Bar and Lounge is a more casual affair. Gym and business facilities are on site. A lively spot. Sights nearby - The White House is only two blocks away. Cutting edge downtown hotel with every modern convenience. Rooms are spacious, chic and extremely comfortable. Minutes from DC’s hottest attractions and metro lines. Explore like a local! Sights nearby - Absorb some of DC's rich history at the museums and monuments of National Mall. Modern Georgetown hotel resting in a quiet, historical resident area stones throw from the city lights. Modern rooms house marble bathrooms and comfortable beds. The bar on the roof terrace and The Alex restaurant are both casual and lively. Great spot for exploring restaurants and the city. Sights nearby - The White House and Lincolns Monument are favourites, and do not forget The Old Stone House is the oldest house in Georgetown. A lavish and inviting 19th century B&B. The more opulent suites come complete with four poster beds, sateen sheets, private whirlpool bathtubs, and wood burning fireplaces. 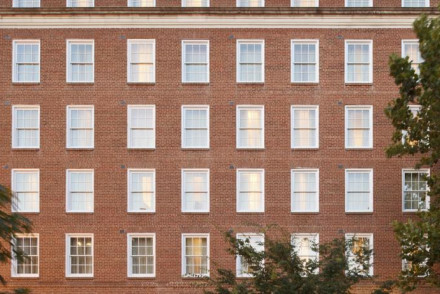 Conveniently located just minutes from major sites, in the charming and historic Dupont Circle neighborhood. Full of character - Plenty of original features including crystal chandeliers, elaborately carved fireplaces and original plaster moldings. Restrictions on children - Children over 12 years old can be accommodated, however no extra beds will be provided. Chic luxury hotel, in the upmarket area of Georgetown. Sleek, sophisticated and luxurious - the decor hits the perfect balance between modern minimalism and opulence. Experience the seasonal, inventive "farm-to-fork" cuisine at Jardenea Restaurant. An elegant and contemporary base in the capital. Sights nearby - The White House, Lincoln Memorial, The Smithsonian Museums, The National Museums of Natural History and many more! Washington DC elegant Victorian mansion hotel with antique furnishing, marble fireplaces, in-room mod-cons and modern bathrooms. The dinning rooms offer American cuisine in a mirror-gilded setting, or step down to the lobby for a cocktail and small plates. Great spot in the capital for exploring. Sights nearby - The White House and Lincoln Memoiral. A fashionable hotel within walking distance from iconic attractions. The modern and smart rooms, featuring large, plump, four-poster beds, create a stylish, city atmosphere. There is a chic and lively bar and large dedicated spaces for events, meetings, and weddings. 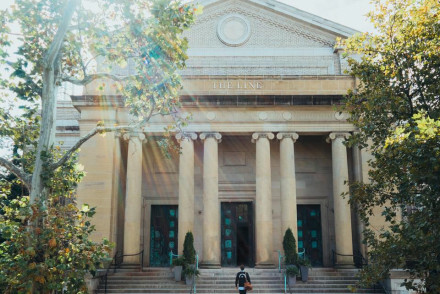 This neoclassical church has been expertly metamorphosed into a hip hotel in Adams Morgan district, Washington. Old and new have been meshed together to create a new ironic definition of worship, glorifying style and swagger above all else. Everything from rooms to restaurants will impress. Sights nearby - Smithsonian Museum, Capitol Hill, the Convention Centre. A luxury hotel on the banks of the Potomac River. Smart rooms feature floor to ceiling windows, modern furniture, soft hues and plenty of space. Entertainment comes from the bevy of food and beverage options with a whisky bar, rooftop bar and French-American restaurant. Fabulous. City Style - An uber slick hotel in the heart of the city. Sights nearby - Visit the oldest federal cultual institution in the states, the Library of Congress. Award-winning hospitality, fabulous views of the White House. A prime location for Washington DC. Luxurious large rooms with Italian linens and modern bathrooms. The Lafayette is an upscale restaurant popular around town, or head to Off The Record for a cocktail. Prime spot for local exploring. Sights nearby - Farragut Square and the Admiral David G Farragut Statue are just around the corner to the hotel. A Renaissance revival with a statue of Thomas Jefferson and a grand marble staircase, high ceiling rooms exude luxury with big windows. Fine dining at Plume restaurant serves seasonal dishes and an extensive wine list. Explore the city at ease from this prime spot, or relax at the in-house spa. Great walks - To The White House or The Washington National Memoiral are both a 15 minute walk away. Sights nearby - Washington DC is all walking distance. Georgetown hotel with in and outdoors pool, rooftop bar and restaurant. Rooms are vast with notably comfortable beds, plush bathrooms and all the mod-cons. Grill Room headed by award-winning chef offers seasonal European dishes and great views of the canal. Perfect base to explore the city from! Sights nearby - Between the White House, Lincoln Memorial and the United States Capitol there is much to see in the capital city. Great walks - Around the city, to Washington Monument. Local markets - Capella's Farmers Market.